Mie Keriting Luwes or Culry Noodles stall food is located in Jl. Kendal , at the elite location and near the heart of Jakarta. Along Jl. Kendal you will find many stall food which selling various types of food. One that can be recommended is the Mie Keriting Luwes. Mie Keriting Luwes is owned by Mr. Wagimin, who had a long history in selling noodles. Since the location in an elite area, no wonder if the customers are middle class who works in a high rise building. With a relatively affordable price, you can choose a variety of noodles offered by this stall. Wagimin made noodles has a soft texture and a rich flavor. This in addition to hygienic noodles also made ​​without any preservatives. 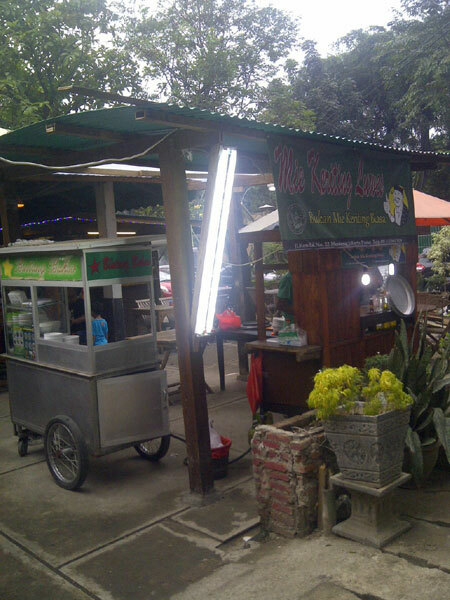 Maybe because that’s advantage the Mie Keriting Luwes stall is always crowded with its customers.